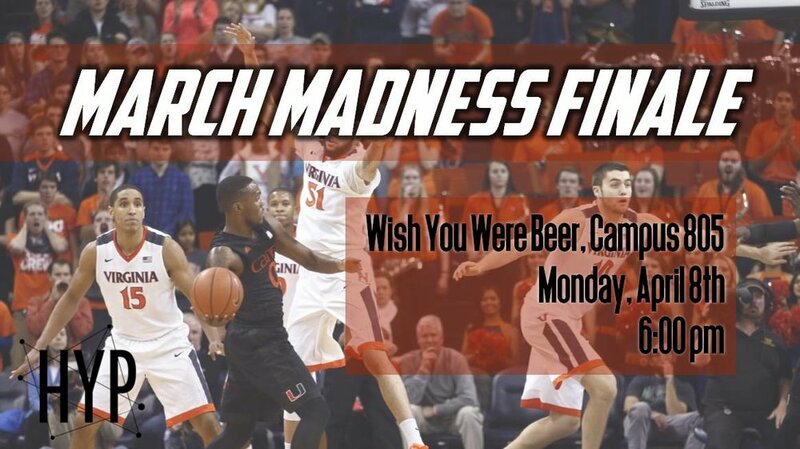 Join us in viewing the March Madness Finale on April 8th at Wish You Were Beer-Campus No. 805! Stay tuned to find out who will be battling it out on the basketball court and who will be crowned the Supreme Victor of HYP's March Madness Bracket Challenge. There have been so many upsets this year, so WHO KNOWS who the ultimate champion will be!